You'll love this perfect gift idea for your favorite executive, graduate, business associate or family member! 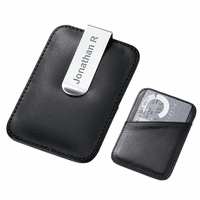 It's a matching two-finish money clip and cufflinks set! 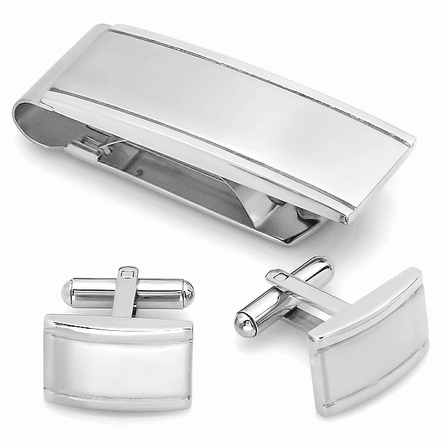 Both pieces have a polished stainless steel border with satin finish engravable center. 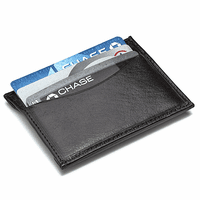 The spring-loaded money clip can hold up to 20 folded bills, as well as a few credit or business cards. The cufflinks have a bullet back closure that is easy to use and stays in place. Free custom engraving adds a unique and elegant touch, and we will package your set in a gift box that's ready to present! 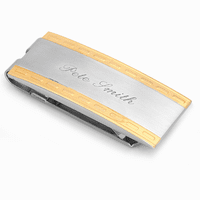 Money Clip Dimensions: 2 1/4" x 3/4"
Cufflinks Dimensions: 3/4" x 1/2"
Are you able to engrave a corporate logo on the money clip? There is a five piece minimum for logo orders. If you are ordering five ore more, you would just place your order but under engraving put ***LOGO***. Then reply to your order confirmation email with your logo. We'd put together a proof for your approval or editing within 2 business days. What is the metal finish on this gift set? Stainless steel, sterling silver etc. The metal is stainless steel.